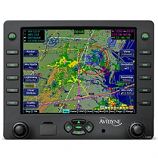 For pilots who want the best of the basics in audio control, combined with rich “home theater” quality sound, the Garmin GMA 342 all-digital audio panel is a perfect fit. It’s affordably priced yet loaded with features previously found only on high-end audio management systems. Plus, for easy system upgrade, it offers direct slide-in replacement for legacy GMA 340 or select third-party audio control panels. So it doesn’t take long for your installer to pull out the old and slide in the new. With its advanced sound processing and distribution features, GMA 342 offers a superior inflight audio experience. It can support dual comm, dual nav, 3 aux receivers and 2 wired stereo music inputs — enhanced with bass boost levels, equalizer settings and exclusive 3D Audio technology that spatially separates the multiple communication sources entering your headset. Other highlights include industry-leading Auto Squelch, a digital clearance recorder and marker beacon receiver. A 3.5-mm audio jack on the faceplate allows smartphones, tablets or music players to be plugged in and routed through the cabin headsets, with selectable instant muting when radio calls are received from ATC. GMA 342 really shines when it comes to music support. 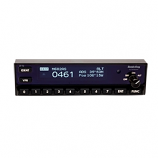 You can connect up to 2 dedicated stereo music sources via the unit’s rear connectors (think of a wired SiriusXM® satellite music receiver plus an auxiliary music device), and then add a third mobile device into the front plug-in jack. 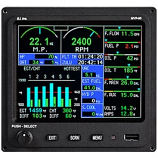 You can select any one of these 3 sources from the audio unit, so it’s easy to route cell phone calls or music inputs to pilot, copilot and passenger headsets — up to 6 locations in all.